When Janice Murphy and her husband made a trip to Walt Disney World, Janice didn’t even know that she needed a fairy godmother. 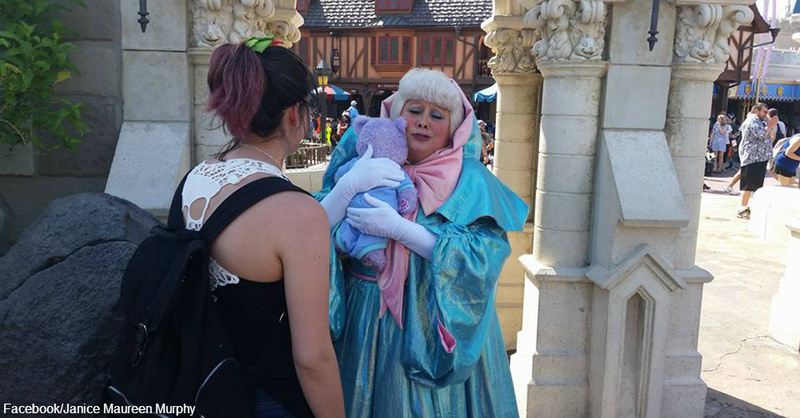 Nonetheless, the kindness and compassion the grieving mother received from the popular Disney character was priceless. 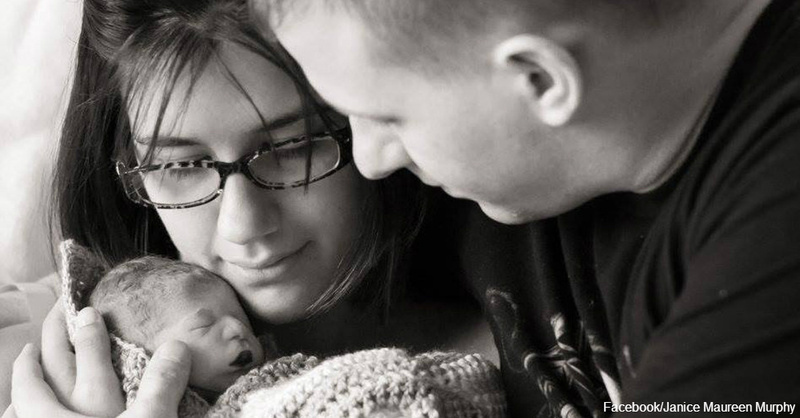 Janice Murphy’s daughter, Analiese, was born with a rare genetic abnormality and lived just 85 minutes after her birth. A grief counselor suggested that Janice place the baby’s ashes in a bag and sew them into a teddy bear as a way to hold onto her daughter’s memory. Janice also recorded her daughter’s heartbeat on a sound recorder from Build-A-Bear and placed it inside the blue teddy. Janice and her husband take the bear with them when running errands and eating in restaurants, and they take turns sleeping with it. Naturally, the bear went with Janice when she and her husband took a bittersweet trip to Walt Disney World. Janice waited in line to meet the Fairy Godmother character on her Disney World trip, and the talented character didn’t miss a beat when she saw Janice coming, asking Janice, “Who do we have here?” When Janice explained what the bear represented, the Fairy Godmother proceeded to treat the bear as she would any other tiny visitor to the park, a move that melted Janice’s heart. The performer also signed a personalized autograph for Analiese. The experience brought Janice great comfort that her daughter’s spirit was with her, seeing the sights that she had hoped to show her in person, had she lived. Janice left the park that day feeling like her story mattered. Although Disney does not disclose the identities of its performers, Janice will always hold a special place in her heart for this unknown woman who showed such compassion during one of the hardest periods of her life. 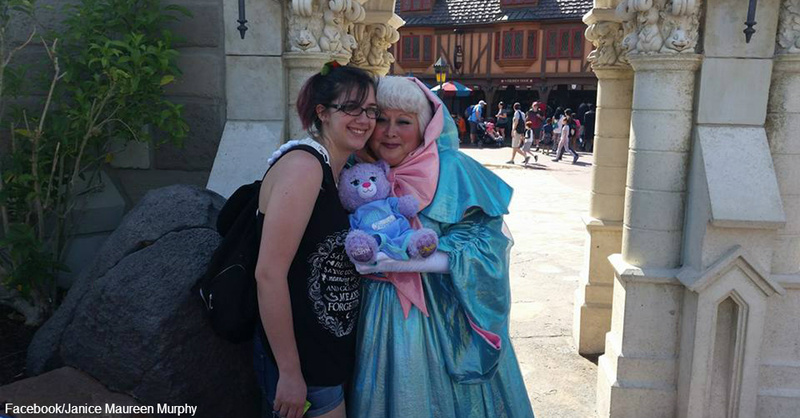 Janice wrote a moving open letter to the Fairy Godmother on Facebook, and its heartfelt message quickly went viral.